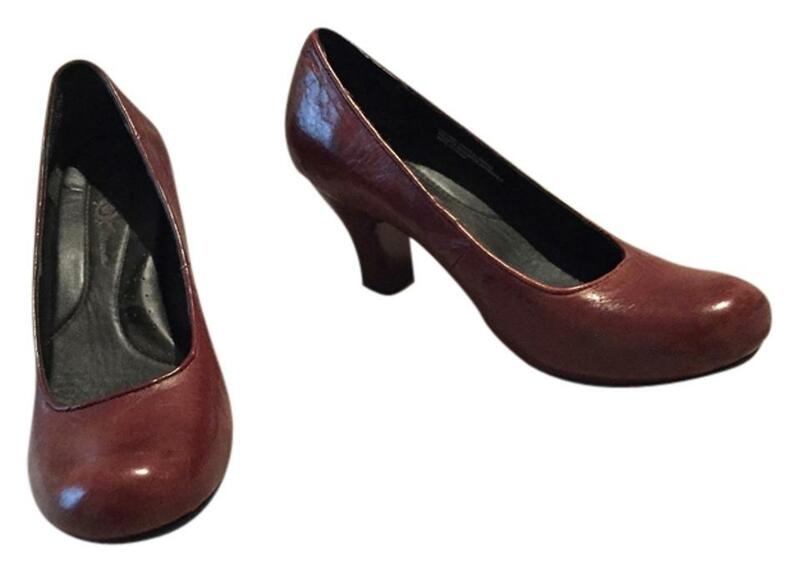 Classic round toe dark brown leather pumps by Born, Born Crown. 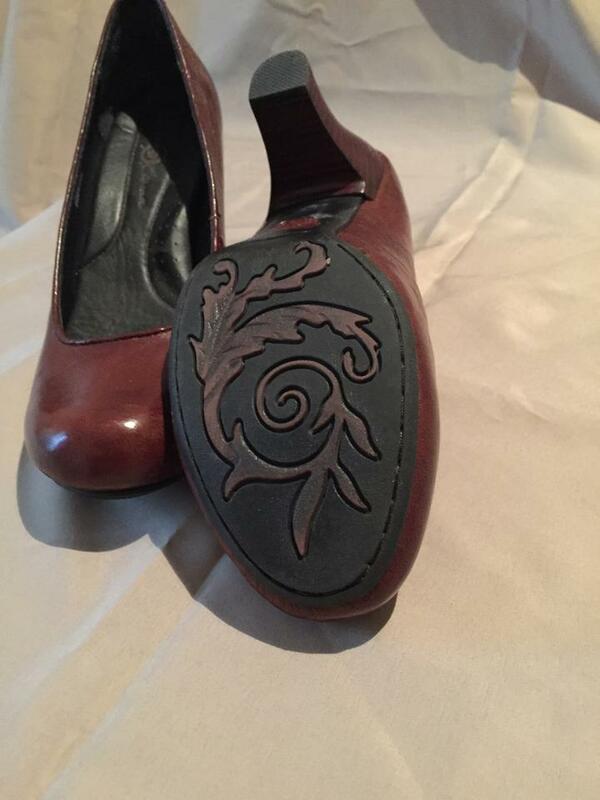 Wood look heel with rubber tip. CG Listed by: Carolyn G.